DO YOU KNOW WHAT OUR BIOLOGICAL AGE IS? The biological age refers to the condition of our body and health, which is often different from our chronological age. Scientists say that the biological age means how old our body seems, while the chronological age stands for the length of the life of the body. Yet, there are a few ways in which you can discover the biological age of your body. Telomeres are the chromosomes’ protective ends, whose role is to do their best to prevent the fusing of chromosomes ends with a neighboring chromosome or deteriorating. This has its effects on the speed of aging and death of cells. Dr. Terry Grossman, medical director and founder of the Grossman Wellness Center in Denver, claims that a telomere bead falls off from the end of the chromosome every time a cell divides. Apparently, there is a direct link between the telomere length and our biological age. The more you live, the greater chronological age you have, and the telomeres have a shorter total length. However, there is an easier way to find out your biological age at home. This simple flexibility test will provide highly accurate results. Stretch the body, and do several slow jumping jacks, to boost the free blood flow to the muscles. In a standing position, join the feet, bend at the hips, and try to reach down with the hands. Try to go as far as possible. If you feel any pain or discomfort, bend the legs a bit. You are an average person between 20-25 if you could keep the legs straight, touch the floor with the hands, but feel the body flexible, and the muscles relaxed. Your biological age is between 35 and 38 if you bent the legs only a bit, and touched the floor with the fingertips. Your muscle flexibility resembles a person between 38 and 50, if you kept the legs straight or bent a bit, managed to only touch the feet or the toes, but felt great discomfort, and the muscles were tense. Your muscle flexibility indicates that you are a person older than 50, if you couldn’t touch the feet, couldn’t keep the legs straight or bent only a bit, and felt pain, that made you want to stand up immediately. So, what is your biological age? Try to stretch every day in order to boost your flexibility and tone your muscles. If you exercise regularly, eat a healthy diet, and lead a healthy lifestyle, you can significantly maintain the length of your telomeres. The eye is the organ that allows us to see the world around us, to discover the light from the environment and transfer the discovered data to the brain. The eye has an intricate structure formed of different specialized parts with a particular job. Main parts of the eye are cornea, lens, retina, optic nerve and retinal pigment epithelium. Eye disorders occur when any of its parts are injured or stops working correctly. The adversity in helping eye conditions is that new biological part for an eye is not easy to acquire. This is where stem cells can be helpful. Stem cells are like a group of new and actively specialized cells that can aid to replace injured or aberrant cells in the eye. Presently there is no therapy to treat neuro degenerative eye conditions but the idea of stem cell transplant to invigorate damaged cells is an enormous appeal. Disorders or diseases of the eye occur when one or more of these components is damaged, and/or stops working properly. Different disorders develop depending upon which component(s) are not working. The difficulty in treating these problems is that, unlike the electronic parts of a camera, new biological components for the eye are not easy to obtain. This is where stem cell technology may be of use. Stem cells can act as a source of new, healthy specialized cells and may provide a way to replace damaged cells in the eye. Steam cells can be exploited to produce an endless origin of transplantable cells to treat the eye. Stem cell therapy can work for corneal transplants. Stem cells can safeguard many neurons in the eye which are important for vision. 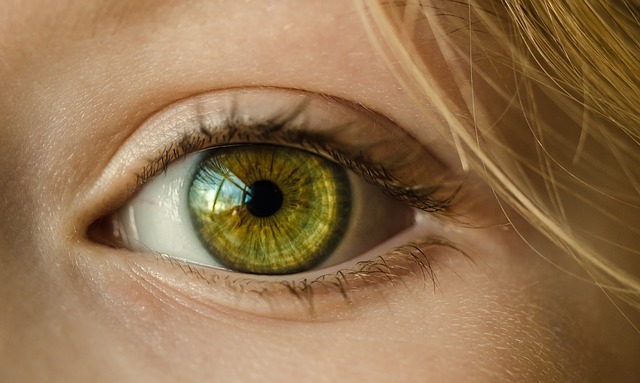 Stem cell therapy has confirmed its potential for retinal deteriorating conditions by producing growth factors in injured neuropil or by replacing the lost cells in the eye. Stem cell therapies come into sight to offer a new promise for the people to regain vision. Stem cells are full of growth factors that can become pigmented with features of retinal pigment epithelium. Muller stem cells with right growth factors can transform into retinal nerve cells. Stem cells are the trusting cells of the body. Stem cells detached from your own body can be supervised to be eye’s muscle cells, optic nerves, photo-receptor cells or corneal cells, to resume normal function of the eye. Conclusion: People with molecular deterioration can benefit from stem cell therapy and for loss of vision, research is going on. Profiteering of stem cells still needs a profound understanding of identification of key regulators in photo receptor differentiation pathway. Stem cell research for treating eye conditions are moving along numerous routes.